Made in Minutes Monday AND a "Guest Designer"! For my inspiration, all of these stencils have TOTALLY inspired me to create one of my own using my dies! I made my stencil a few weekends ago, but this is the first project I made using it & I LOVE it! I made my stencil by gluing 2 pieces of chipboard together so my hearts can be a little thicker! Since I used chipboard to create my stencil, I cannot re-use it! Had I waited & watched my "Stencil class" FIRST, then I would've known to make one using clear acetate so I CAN re-use it again! ;) I show you exactly how I made this card in my video below! I am also going to be using this card as my homework for the class! Now onto my AMAZING design team! Don't forget to click on each name to visit each blog to see what was their inspiration! Weren't the DT's projects AMAZING? Don't forget to visit each blog & leave them some bloggy love! P.S. don't forget play along w/us for our SUPER FUN "SKETCH" challenge that is going on right HERE! I'm sweating here! Embossing paste AND glitter! Yikes! But the result is gorgeous! LOVE!!! Gorgeous Emma, Love your raised hearts and glitter...fabulous!! Oh Mrs. Emma I loved how you used the embossing paste with the glitter. I really need to jump on this embossing paste wagon cus it looks like so much fun:) Your card looks really pretty! Thank you for the how to video:) DT your projects were super cute! Just super. I love the embossing paste! Thank you for showing it off! These are gorgeous!!! I love so many things about them all! I recently got a Big Shot for embossing and it's so much fun!!! I'm just dipping my toes into the blogosphere with a blog I started. Would love to connect with you! Your creations are just my style! What a beautiful card Emma!!!! LOVE the black, red and white!!!! Awesome job to the team as well!!! Ok don't laugh but I never heard of embossing paste, lol! I really love though what it did and the way in which you used it. So cool! More fantastic projects as well from the DT! 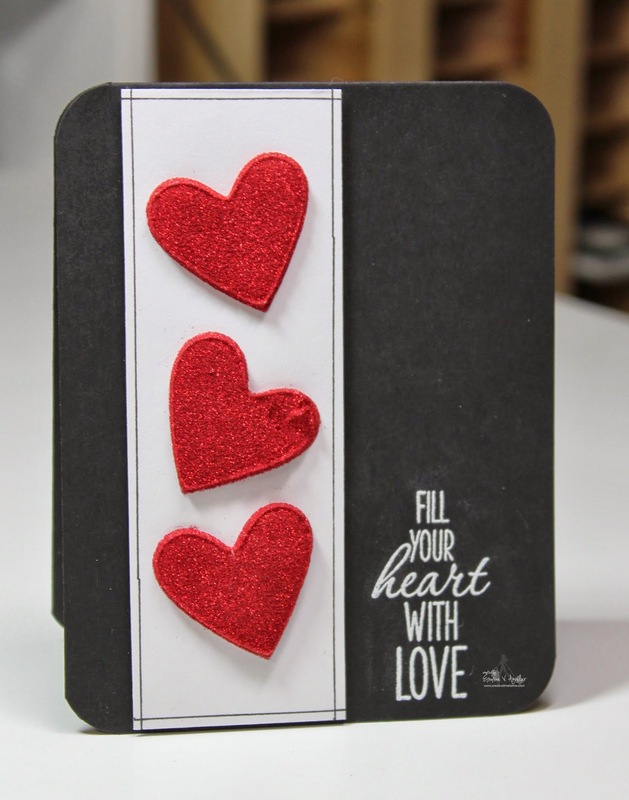 Love your embossing paste adventure and video :D That is one pretty card. You and the Design Team had some fun inspirational projects today. You all are wonderful. Emma, I love how you added glitter to those awesome hearts you made!! Beautiful card my friend!! Love all of them!!! Tons of inspiration ideas... Great job!!!! Definitely need to give it a try!